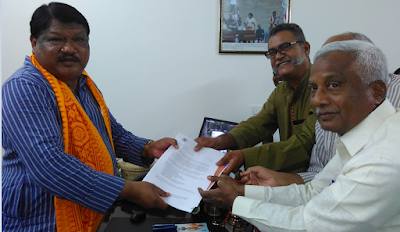 Will the Modi government oblige Union tribal affairs minister Jual Oram, who assured a civil rights group of "protect" tribal rights in mining areas by forming an all-party tribal MPs' committee to look into why India-wide implementation of the Provisions of the Panchayats (Extension to Scheduled Areas) Act, 1996 (PESA, 1996)? PESA gives full powers to gram sabhas to people living in scheduled areas, mainly tribals, full rights to decide on how to utilize natural resources. 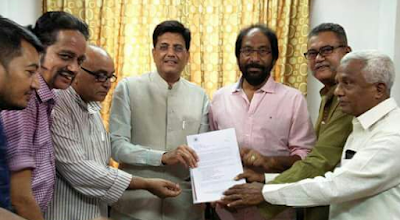 The delegation, led by Ravi Rebbapragada, chairman, mines, minerals & People (mm&P), which also met Piyush Goyal, minister of power, coal, new and renewable energy and mines, was told the Government of India “would look into” and “discuss” issues concerning environmental pollution. A senior activist, who was part of the delegation, wondered whether the ministers' assurance would turn into firm action, of if powerful pro-industry forces in the wouldn't allow smooth implementation of tribal rights laws, including PESA. Expressing concern over “poor governance” and “apathy” of state governments in implementing the provisions of PESA and the Samata judgment, which seeks Centre’s intervention for implementing PESA, 1996, the delegation requested the ministers to “look into the matter” and demanded “appropriate action against the blatant violation of the provisions under the Act.” It particularly sought the Centre’s proactive interest in implementing the Act. Representatives from 17 states met the two ministers and members of Parliament as part of their effort to apprise the ministers and MPs about the condition of children in mining areas, illegal mining and legal compliance and liability, failure to utilize the District Mineral Fund (DMF), and need to set up a Future Generations Fund in the mining areas. Apart from the two ministers, the delegation met members of Parliament Sharad Yadav of Janta Dal (U), Mansukh Vasava of BJP, D Rajaof CPI, Tiruchi Siva of DMK, Jairam Ramesh of Congress, Jitendra Choudhury of CPI (M), among others. Shiva Kumar, anti-mining activist from Ballary, Karnataka, said, there has been criminal delay in preparing action plan and utilizing unused fund accrued under the Karnataka Mining Environment Restoration Corporation. “Although it has been more than five years of Supreme Court order in the case of Samaj Parivartan Samuday v/s State of Karnataka to undertake environment restoration work in mine ravaged districts of Ballari, Chitradurga and Tumakuru, not a single penny is spent on the community directly affected by mining”, he said.